Send this wonderful arrangement of 150 Red Roses in a Heart Shaped arrangement to your loved ones in India and heighten their celebration. 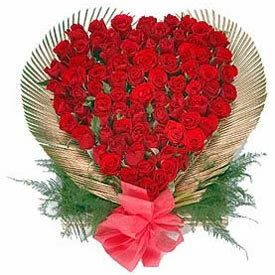 Its fresh and vibrant color will surely cheer up your dear one's day in no time. Along with this, you can also send other Gifts to India through RGCards.com.